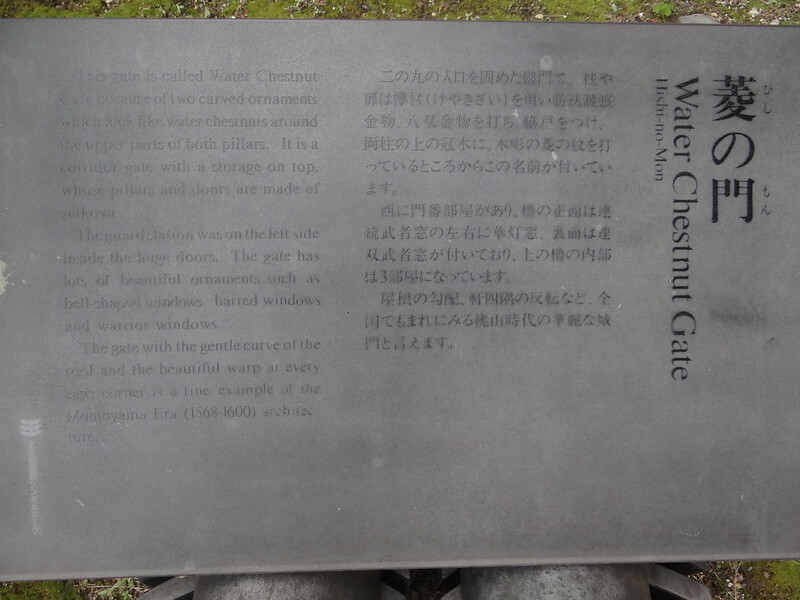 This gate is called Water Chestnut Gate because of two carved ornaments which look like water chestnuts around the upper parts of both pillars. 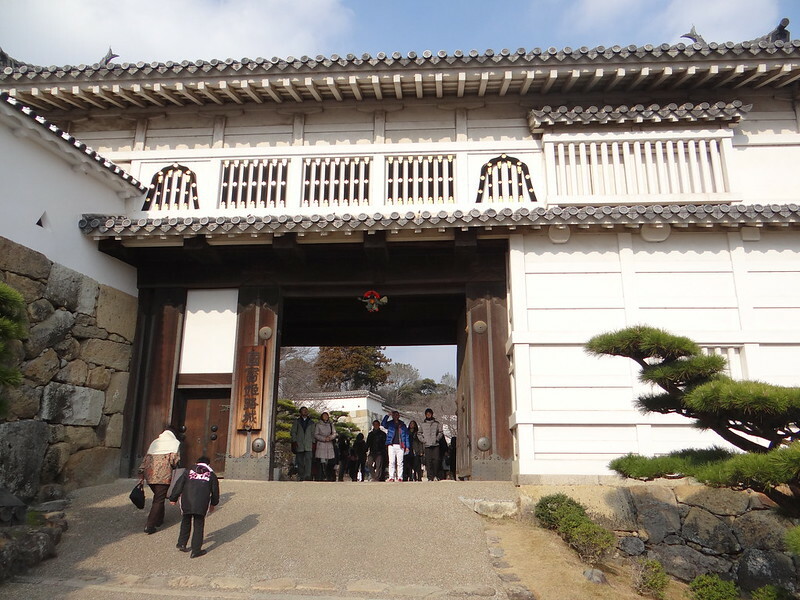 It is a corridor gate with a storage on top, whose pillars and doors are made of zelkova. 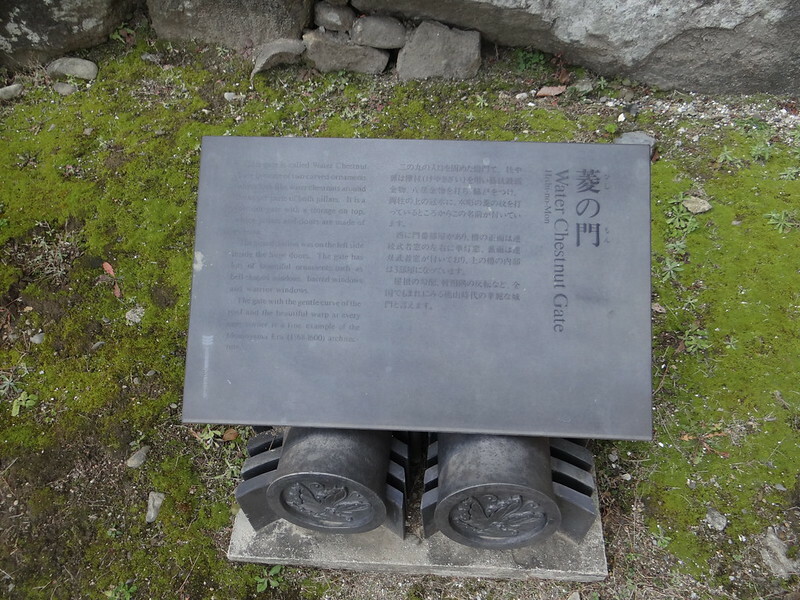 The guard station was on the left side inside the huge doors. 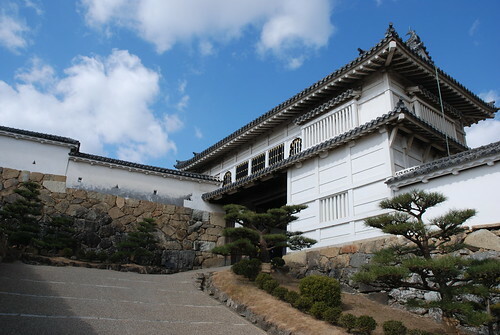 The gate has lots of beautiful ornaments such as bell-shaped windows, barred windows and warrior windows. 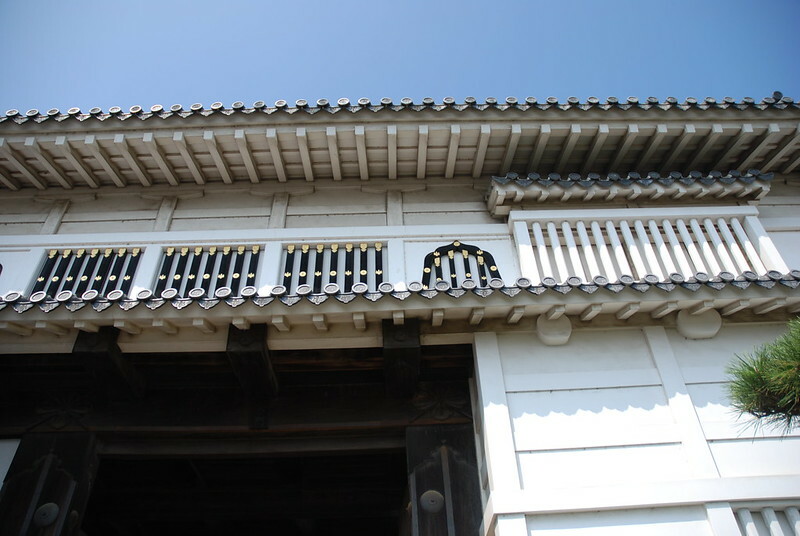 The gate with the gentle curve of the roof and the beautiful warp at every eave corner is a fine example of the Momoyama Era (1568-1600) architecture.